St. John’s Wort and Other Alternative Depression Medications: Do They Work? 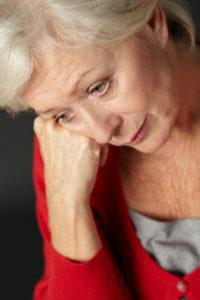 Natural or alternative depression medications may not be for everyone. But some have had success using natural remedies, such as St. John's wort, to treat mild depression. The herb St. John's Wort "is believed to be helpful in relieving mild to moderate depression, but should only be taken under a physician's supervision," according to the U.S. National Library of Medicine. "St. John's Wort may clash with other medications or foods a patient is taking, and the efficacy of the supplement is not regulated or assured." Some people don’t like to take drugs. While it’s definitely not advisable to self-treat for depression without the guidance of your doctor, and you should never, ever stop taking medication for depression against medical advice, there are instances when so-called natural depression remedies may be in order. St. John’s wort, possibly the most well-known natural depression medication, is a flower extract available in pharmacies and health food stores in the form of pills, tinctures, and teas. While it is relatively well-studied for use in depression, results have been mixed. A large review of studies conducted by the National Center for Complementary and Integrative Health (NCCIH) showed that St. John’s wort wasn’t any better for treating major depression than a placebo; other studies suggest it might be beneficial for people who have only mild symptoms of depression. 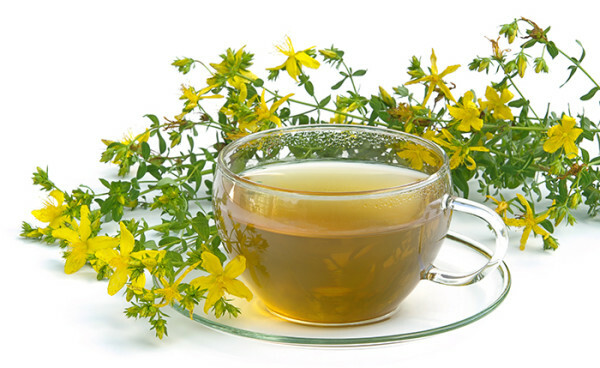 If you decide to try St. John’s wort as a natural depression medication, be aware that, just like a drug, it can cause side effects, including fatigue, increased blood pressure, sensitivity to sunlight, and stomach upset. St. John’s wort can also interact with certain medications, including immune-suppressing drugs such as cyclosporine, HIV medications, asthma medications, the heart rhythm drug digoxin, oral contraceptives, and blood thinners. If you’re considering using St. John’s wort, weigh the risks carefully with your doctor. Another alternative depression medication, S-adenosylmethionine or SAMe (pronounced “sammy”), is a natural substance found in all of the body’s cells. It helps produce the brain chemicals serotonin and dopamine, and it participates in myriad other natural physiological reactions in the body. Imbalances in both serotonin and dopamine have been associated with depression, and several antidepressant medications are believed to work by increasing the amount of available serotonin and sometimes dopamine in the brain. In fact, the selective serotonin reuptake inhibitor (SSRI) antidepressants, some of the most popular medications for depression, function by making serotonin more available in the brain. Taking SAMe in supplement form is thought to increase the levels of certain brain chemicals and improve mood. Studies that were conducted in Europe with an injected form of SAMe showed that the supplement was similar in effectiveness to low doses of tricyclic antidepressants. Also, a 2010 Harvard study revealed that adding a twice-daily, 800 mg dose of SAMe to SSRI antidepressant therapy boosted both response and remission rates of treatment. Talk to your doctor if you would like to try SAMe as an alternative depression medication or as an addition to the depression medication you are already taking. antidepressant, antidepressants, asthma, blood pressure, blood thinners, brain, brain chemicals, depression, depression help, depression medication, depression remedies, dopamine, food, for depression, health, health food, integrative, integrative health, major depression, medical advice, medications for depression, mood, natural depression, natural depression help, natural depression remedies, serotonin, serotonin and dopamine, serotonin reuptake, serotonin reuptake inhibitor, side effects, studies show, supplement, symptoms of depression, tricyclic antidepressants. Pharmaceuticals are BAD news, and never to be trusted. Trump should shut down the drug pushers. I thought you might be interested in this article on https://universityhealthnews.com: St. John’s Wort and Other Alternative Depression Medications: Do They Work?